First Active plans to sell its mortgages over the internet later this year according to the Financial Times. The lender which specialises in flexible mortgages, says its site will provide customers with the opportunity to specify their individual requirements. But First Active is still considering whether it will offer lower borrowing rates to those customers using the internet service. It claims that while the net offers savings in terms of administration costs the benefits could be wiped out by the increased cost in advertising. 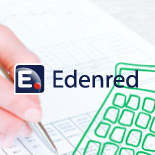 Edenred has partnered with Johnson Fleming to launch an auto-enrolment solution for small to medium-sized enterprises (SME) that will help employers fulfil their pensions obligations.